The aim of this work is the investigation of the relationship between the electronic band structure of the TiO2 rutile and the dimensionality of the system. For three dimensional system the bulk form of rutile was considered, while a slab model was chosen in order to represent the titanium (IV) dioxide (110) surface. The influence of changing the number of atomic layers on the bandgap value for the (110) surface was also examined. Density of states referring to the bands from the first valence band up to the bottom of the conduction band was projected on the whole set of atomic orbitals as well as on the significant shells of the titanium and oxygen atoms. Ab initio calculations with a B3LYP functional were carried out. Basis sets used were modified Ti_86-411(d31)G_darco_unpub and O 8_411_muscat_1999. The results are compared with experimental and computational data already available in the literature. 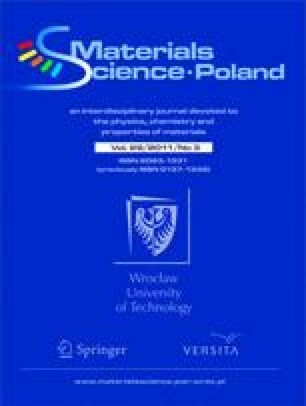 Surface termination problem was discussed and the application of the obtained results as a starting point to obtain the first model of the rutile titania nanotube was proposed. The surface formation energies for rutile planes with a different surface terminations were compared and the modification to the equation needed for surface energy calculation was introduced.